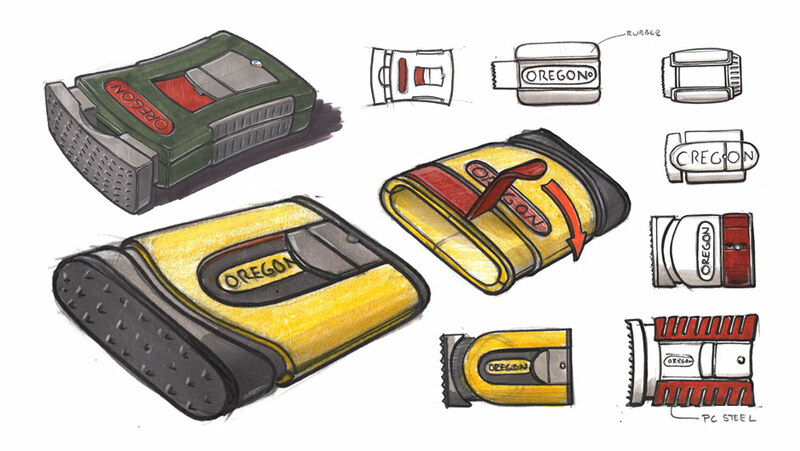 Showcasing design sketch work and engineering skills, CreatID refreshed a chainsaw sharpener design, to broaden appeal in the commercial marketplace. 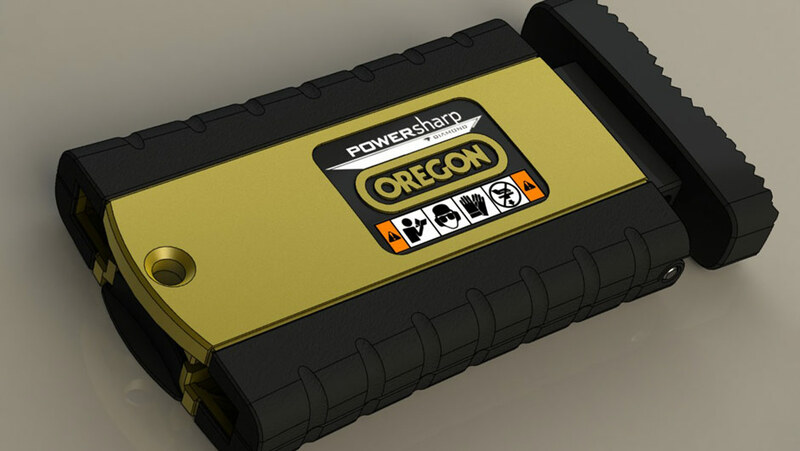 Oregon Chain, a division of Blount, Inc., requested a redesign of their residentially-targeted PowerSharp chainsaw sharpener to incorporate new technology. Significant market research was needed to identify the true opportunities of the product. CreatID reviewed market and industry trends, interviewed current residential users, and gathered feedback from anticipated commercial users. 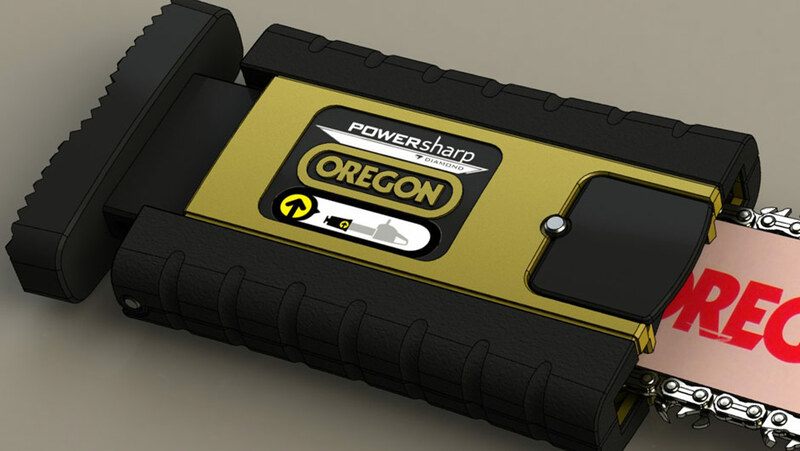 This research yielded a number of opportunities for improving the product, and creating strong appeal in the new market Oregon Chain was targeting. 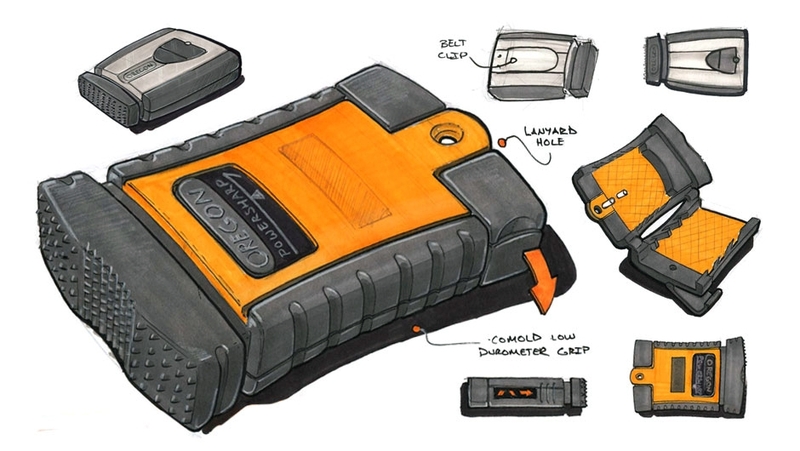 CreatID implemented overmolding to contain the mechanics and minimize bulk, outputting a redesign that maintained hand-held operability, even with increased size. 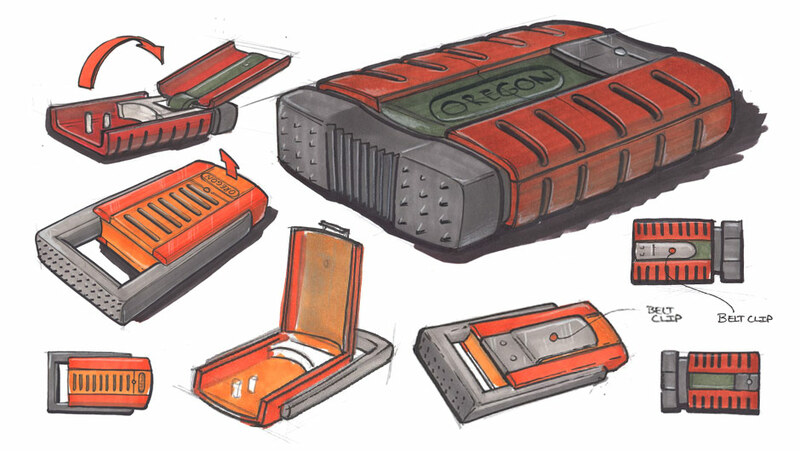 A co-molded edge was incorporated to facilitate an assertive grasp on the device for the end-user. Responding to functional feedback of the previous design, great care was put into increasing clamping area of the sharpener to control the contact of the chain to the stone. 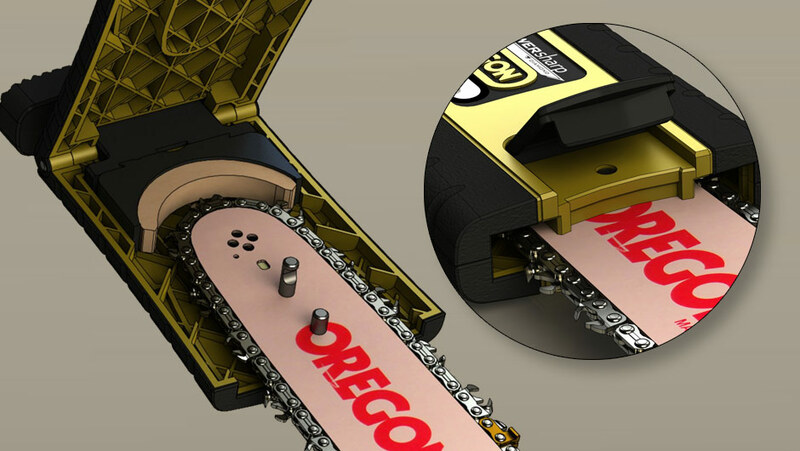 A new side opening was developed as an attractive option that would assist professionals installing the sharpener while treebound. 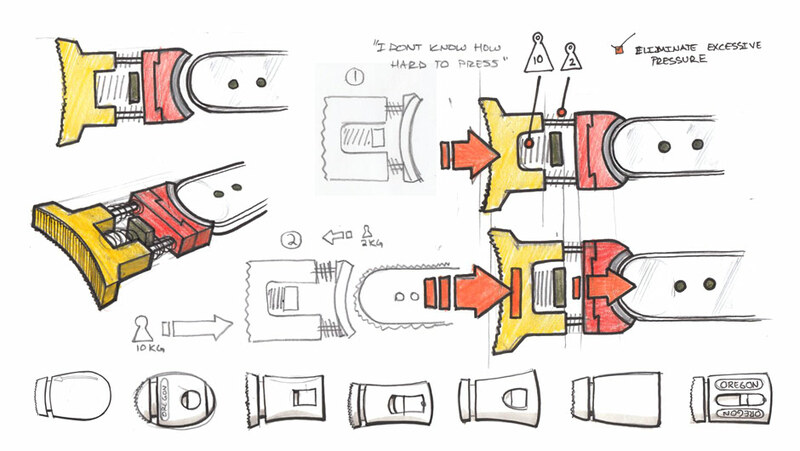 Analysis of the prior design revealed inadequate feedback to the user during sharpening. This caused over-sharpening of the chain, contributing to premature mechanical failure. A solution was developed to accommodate varying amounts of force, yet only apply the required four pounds of pressure to the chain sharpener. Close attention to assembly steps throughout the engineering process created the opportunity to reduce visual artifacts from the prior design in the clip and locking pin area. 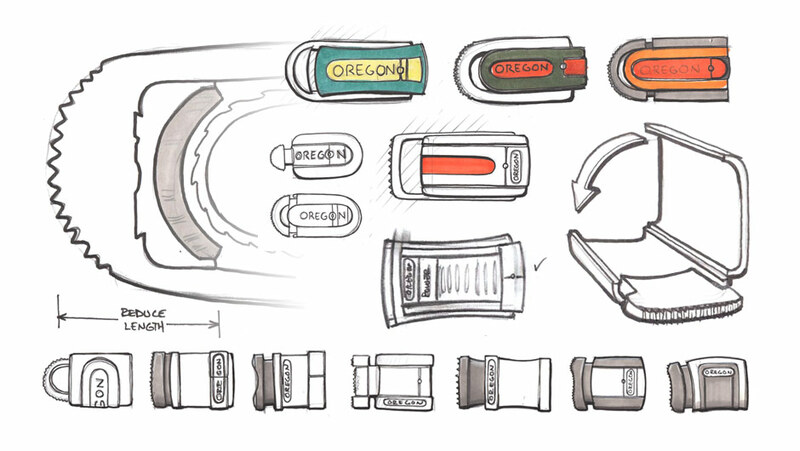 Additional attention was put into simplifying the clip area to increase aesthetics over the previous product. Various style points were explored focusing on attracting users in the commercial market sector, reducing visual mass, increasing ease of use in the field and perception of quality. 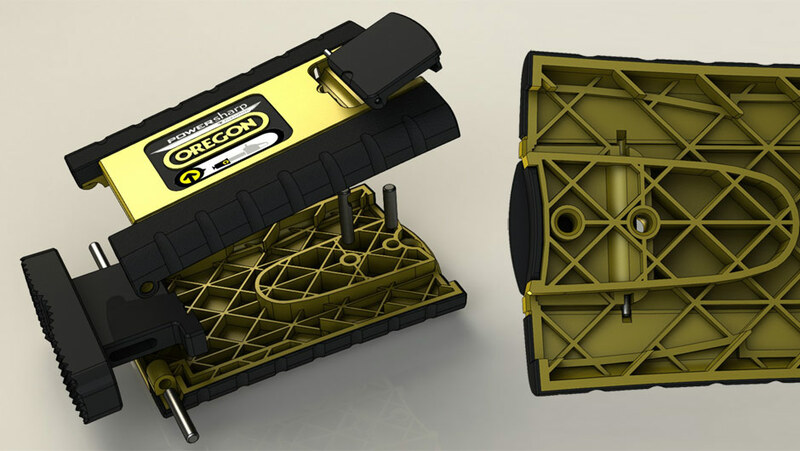 Using removable mold inserts and an inset branding and decal area, the product could optionally be sold as an OEM rebranded product with referencing for decal placement. 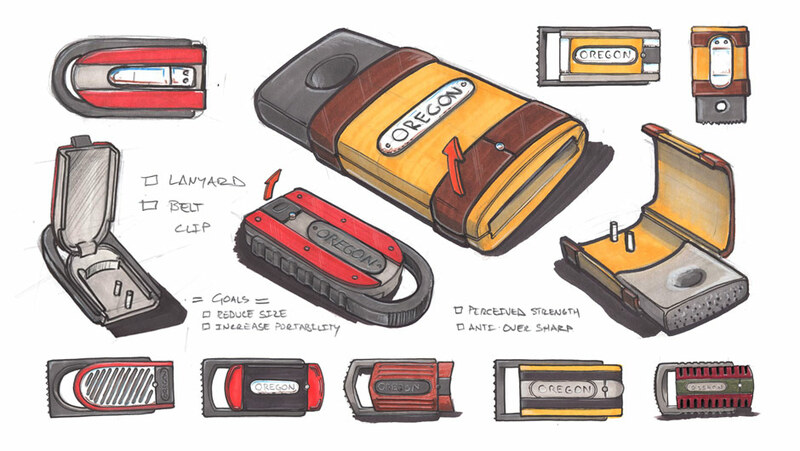 The project’s design sketch work highlights these improvements.